Our Hair picks can be used in salon and home. Also great for pets, too! 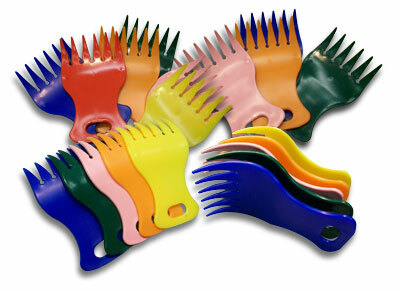 Standard Hair Picks Colors: Blue, Red, Orange, Hunter Green, Pink, Yellow. Custom Hair Picks Colors: Call 828-464-8996 for custom hair pick colors. Please allow 2 to 4 weeks for delivery. Call 828-464-8996 or contact us for more information.